Domestic microCHP units are sometimes designed to directly replace your current gas condensing boiler and sometimes not. Some will only provide enough heat for hot water needs. If your home does not have central heating or it is heated by oil and you do not have access to mains gas, it is possible to get a propane (LPG) tank installed (subject to having enough outside space to install it), but the cost of this will dramatically affect the financial viability of the unit and negatively impact on the payback period. If your home is currently off-grid then there may be a better solution such as a biomass boiler or a ground or air source heat pump. As always we recommend insulatingyour property to the best of your ability as this is widely considered to yield the best cost savings vs capital investment possible. 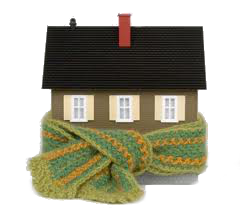 A great benefit of microCHP boiler systems are that they will work, both heating (water and/or space) and powering your home, whatever your buildings orientation and prevailing weather conditions. Maintenance demands with a microCHP unit will be very similar to a standard condenser boiler (as the Stirling engine element rarely needs any maintenance at all) but must be carried out by an MCS accredited, Gas Safe installer. Be mindful that additional costs may be incurred as you may need a specialist plumber/technician to examine your particular unit. You should have been provided with a commissioning checklist and a service interval record to help you keep up with servicing when your unit was first installed. Building regulations require that the installation should comply with the manufacturer’s specifications (only for dwellings and related structures). As with all gas boilers you should have the unit regularly serviced to ensure the unit is safe, optimised and running within specification tolerances. You should have your system serviced no less than once a year and a standard annual service should cost around £50-£75 and take about 1-2 hours. A power flush to clean a central heating’s fluid system will probably be needed at some point (5-10 yearly). This usually costs in the region of £300-£450 and should take around a day. The time taken to complete this job can vary depending on the size of the system or the amount of fluid and grime that needs to be cleaned out of the radiators and pipes. If a new thermostat needs to be installed this should cost no more than £200. Other parts and repairs vary from unit to unit. CO (Carbon Monoxide) alarms provide a great means to monitor for the presence of CO in your home or workplace. Carbon Monoxide is a highly toxic gas that is odourless, colourless and tasteless. It is produced when a gas appliance is not working to the correct specifications. The alarms usually cost in the region of £20-£30 and provide a suitable level of protection in addition to peace of mind. Just because you have a CO alarm does not mean that you can avoid regular boiler servicing and remember to check the alarm batteries regularly! Your energy company can install them for you or you can pick them up from most good DIY stores. 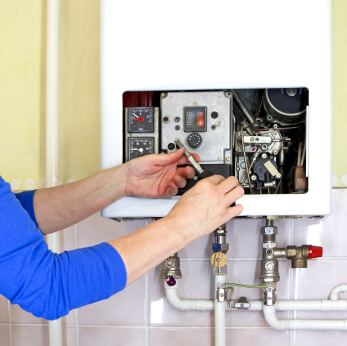 British Gas offers a Homecare 200 policy (£200 a year for any maintenance needed, free for the first two years). There are many deals out there, so shop around and factor in any warranty periods before taking out any pre-payment or monthly payment maintenance insurance plans. Further information on microCHP boiler maintenance will be published here as soon as it becomes available.